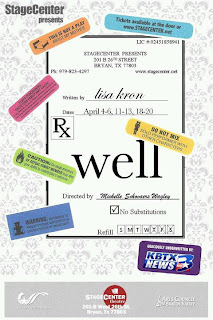 "Well is a funny and touching comedy about mothers and daughters, mind over body, social activism, and theater itself. Lisa, the onstage playwright, attempts a memory play about her force-of-nature mother, Ann, who, though constantly ill, manages to heal a community. In this show, the playwright asks the provocative question: Are we responsible for our own illness? But the answers she gets from her mother and the chorus of characters questioning her motives are much more complicated than she bargained for when the play spins out of control into riotously funny and unexpected territory." 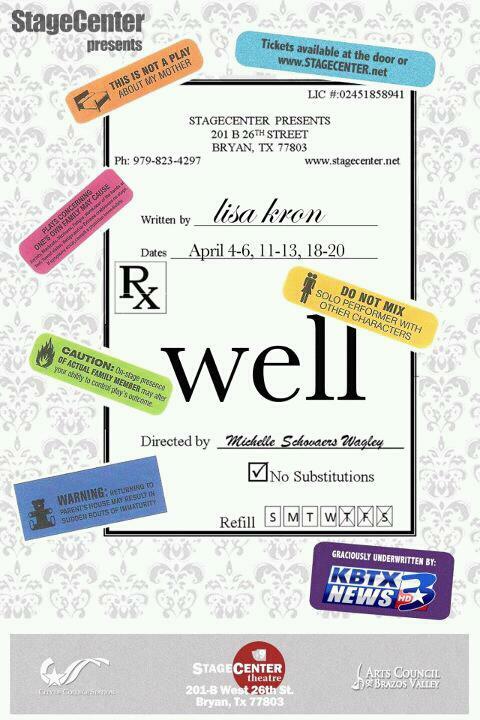 Starting next Thursday, my good friend Stacey is starring in the StageCenter Community Theater's production of Well by Lisa Kron. The show runs April 4-6, 11-13, and 18-20, and tickets (and/or additional information) are available by calling 979.823.4297, visiting www.stagecenter.net, or at the door. This show is not to be missed! 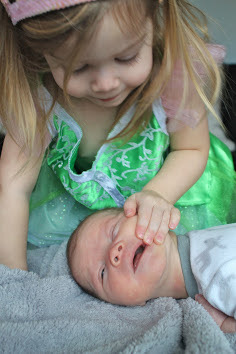 While visiting my family in Illinois over spring break, I spent an afternoon snapping pictures of my two-year-old niece, Lily, and my newborn nephew, Carter. Lily, who is every bit as spicy as Hallie (they might not look related, but I assure you, they ARE), wanted absolutely nothing to do with modeling until I produced a container of Tic Tacs from my pocket. Then she really started to work it. 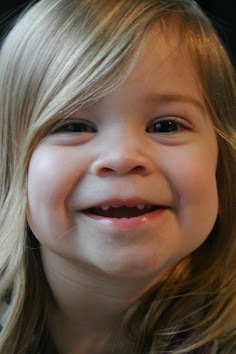 Truth be told, I took pictures of Lily primarily to test out the lighting in preparation for eventually taking pictures of Carter. 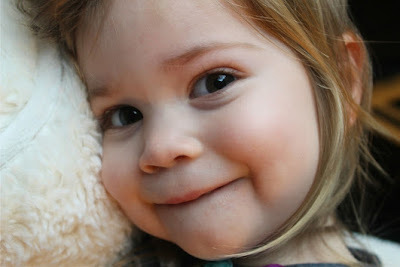 I was pleasantly surprised to score a few photos that I think capture Lily's beautiful greenish brown eyes; round, rosy cheeks; and golden blond hair. 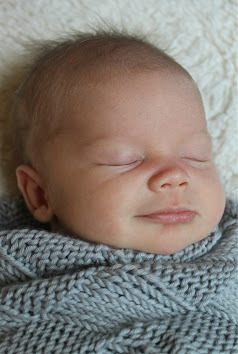 Carter was fairly cooperative (though at one point obvious in the fifth photo below, he became a bit disenchanted with the whole photography session business), which made the process considerably easier. 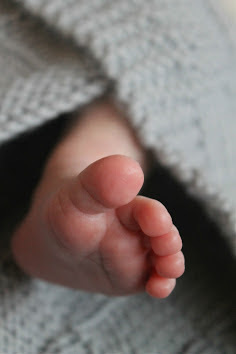 And though I'm no professional, I'm fairly satisfied with the results. I miss my little models, but I'll be alright, because lately Hallie's been dishing out enough spice to cover for both her and Lily and waking up at night as often as Carter. If an entire video compilation of epic failures on the golf course isn't your thing, PLEASE, at least watch the first clip, the last clip, and the clip of the little girl at 0:40.